Got a new credit card or the expiration date on the card is come and gone? It’s easy to update your billing information with Tidy Casa. First, navigate to https://tidycasa.com/login/ and log in with your username and password. If you don’t have one, you should be able to create one via the link at the bottom of the confirmation email we sent you. 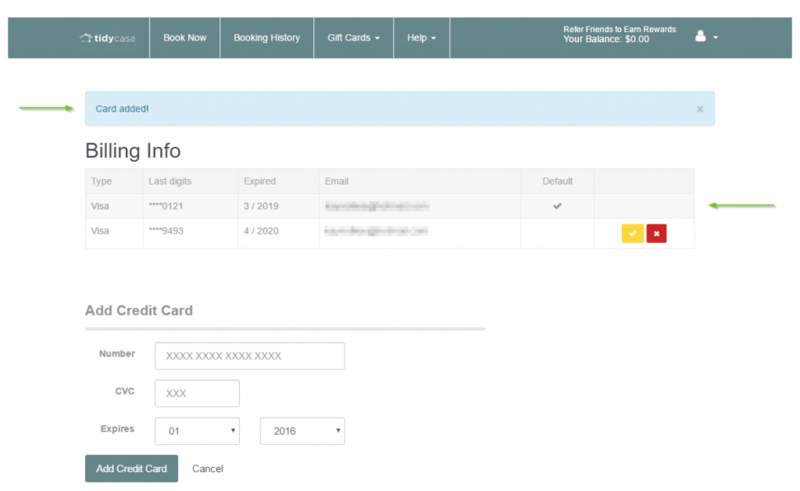 Next, click on the person icon in the upper right-hand corner and select Billing Info from the drop down menu. 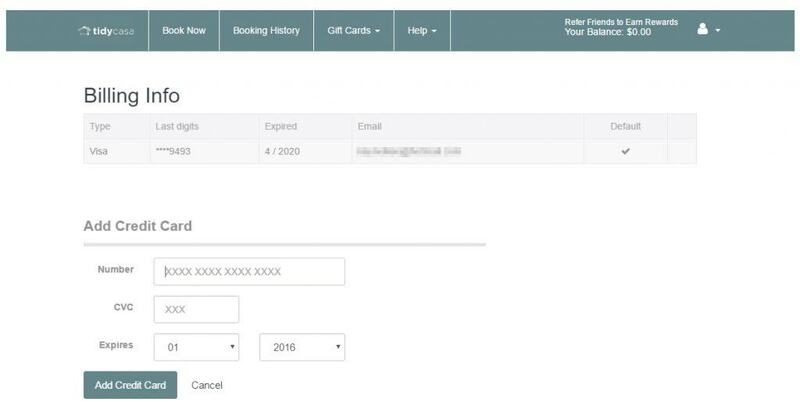 Then, enter your updated credit card information into the box provided and select the Add Credit Card button at the bottom of the screen. Once the updated credit card information has been added, a “Card Added!” message will appear at the top of the screen. You should also see the new card selected as the default card. Once the credit card has be added and set as the default payment method you’re all set to go.